At heart, Heidi is an intuitive visual artist, constantly capturing the dynamic world around her through still images and video. A self-taught photographer, Heidi’s artistic productions are a figment of her own reflections of society and culture. 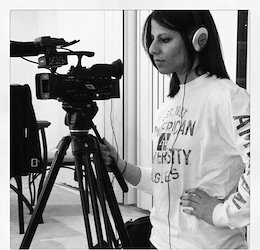 Heidi’s genuine interest in the interplay between culture and media inspired her to study documentary filmmaking. As a recent Masters in Fine Arts graduate, Heidi’s artwork critically interrogates the negative perceptions of Muslims and Muslim culture portrayed through the dominant discourse. In her work, she explores the hybrid identities of the Muslim American community, interweaving subjugated and dominant discourse in an attempt to shatter cultural and religious barriers.